UPDATE 2018: Since the article below was written it appears that the Bukit Sileh route is now rarely used and you are advised to hike from the other side (the tea plantation side) at Ai Batumbuk. The trail starts in an area called Bukit Sileh – more specifically from a village called Batu Bajanjang. Unless you or your driver knows the area you will almost certainly have to get out and ask because there are very few signposts beyond Solok. 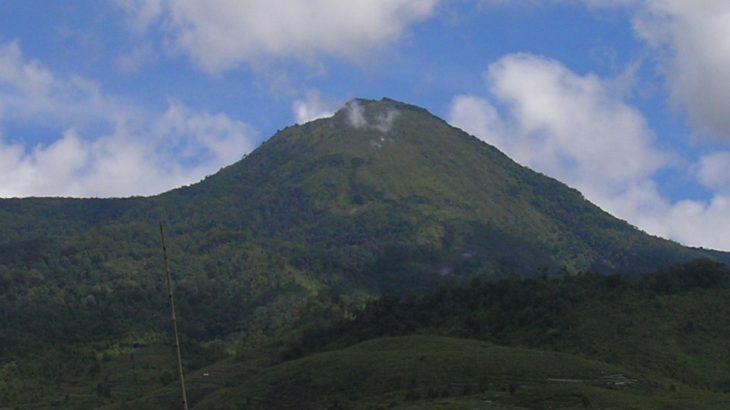 It is a very pleasant starting point for two reasons – the mountain looks much more imposing from this side than from tea plantation on the main road between Padang and Gunung Kerinci and additionally the starting point is at over 1350m above sea level . From the village, a bumpy, rocky farm track leads up the hillside to farm villages and plantations. Do make sure to ask locals about the activity of the volcano before deciding to camp on the higher slopes – better still, if you have time, visit the Volcanology office in the area. The trail to the volcano leads up through the farmland before reaching a ridge full of vegetation which you will reach after about 30 minutes. Look out for monkeys here – it seems to be teeming with them. The trail then enters denser forest which is a welcome respite from the heat of the sun. The trail is very pleasant – not well-used enough to become too muddy or full of litter. After an hour of flatter walking the trail increases in steepness and the vegetation lessens. You should be able to catch a glimpse of Danau Dibawah to your left. 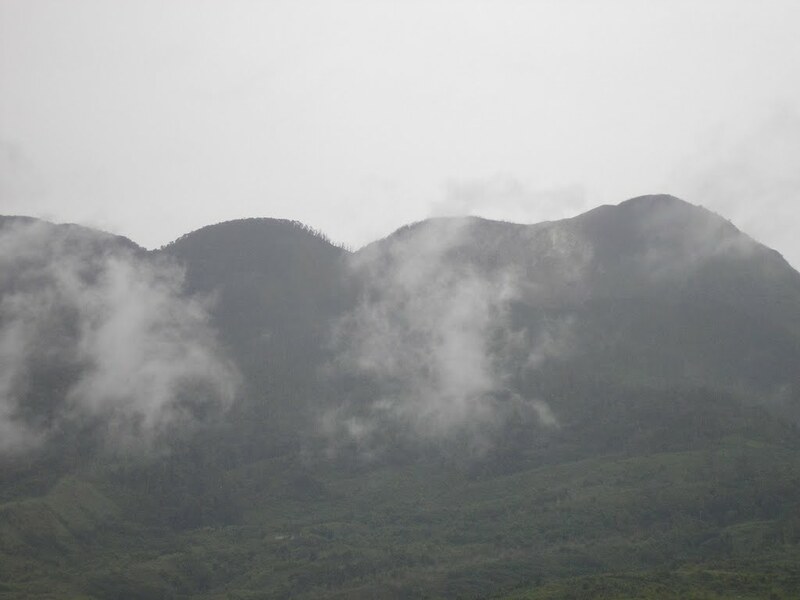 Look out for birdlife here – compared to most Javan mountains this peak is literally full of creatures. Before long you will see a small plume of smoke rising from the hillside – a sulphur fumarole (2,355m) worth having a closer look at. In another 20 minutes is a small area (2,475m) large enough to accommodate one large tent or two small tents. A few boulders are scattered across the hillside here and the views to Singkarak lake and the Bukitinggi mountains of Singgalang, Marapi and Sago are tremendous. One of the large boulders overlooking the lakes has a metal volcanology marker on it. From the small camp area it’s less than 30 minutes to the true summit – surrounded by volcanic crevices, craters, burnt trees and volcanology monitoring equipment. Altogether, allow between 4 and 5 hours to reach the summit from Bukit Sileh. The views from the top are amazing – down to the three lakes of Danau Dibawah, Danau Diatas and the smaller Danau Talang (a crater lake) and in the early morning you should see Gunung Kerinci – Indonesia’s tallest volcano and Sumatra’s highest mountain – as a beautiful cone behind Danau Diatas. It is especially beautiful at dawn and very much recommended to fit photographers as it’s a really photogenic summit area. Old, dry craters lie below, some local Edelweiss grows between the burnt trees and the Indian ocean is clearly visible. In June 2011, volcanic activity at the summit was very low but given that 25,000 local residents were evacuated in 2005 it is of course crucial to be very cautious indeed. For larger camping parties, one of the dry sandy crater below the true summit ridge would make a reasonable place to camp, but only in times of very, very low activity. Allow three hours to descend the same way. Getting there: A private car should be able to cover the distance between Padang and Bukit Sileh in 3 hours. Accommodation: There are one or two hotels in nearby Solok, but a wider range of accommodation is to be found in Padang. Apparently, Hotel Pangeran Beach is a good upmarket option and Brigitte House is a friendly economy option. Permits: None required but take a photocopy of your passport photo page just in case. 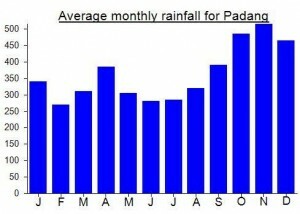 Farm villagers may ask for a small contribution – Rp 10,000 is enough. Water sources: Apparently some near the summit but given the sulphur content it is probably not wise to use it. I climbed Gunung Talang on December 17th and 18th. There was light rainfall on the night before the hike and on the afternoon of the first day of hiking, but the trail was in good condition: some mud but nothing too slippy. Getting there. If you want to take public transport from Padang Airport, the Tranex minibus (Rp24,000, 1 hour) passes through the city to the Marapalam bus stop, where colts wait to head up to Alahanpanjang (Rp20,000, 1 hour 30 minutes). As soon as I mentioned Gunung Talang, both driver and conductor were confident about where to drop me off, in the Kayu Jao tea plantation zone, where there’s a small turn off the main road with a signboard saying ‘Gunung Talang’. A 300m walk up the side road leads to the Pos Registrasi (Rp20,000 for foreigners, Rp10,000 for locals) in Air Batumbuk. This mountain receives hiking parties on weekends and weekdays, day and night, so the Pos is unlikely to be closed. Logistics. I was assigned a guide and porter on the spot for a fee of Rp500,000 for a two day hike. This became a de facto Rp880,000 with the addition of an assistant porter, plus food, cooking gas and cigarettes for the porters and ojek rides to and from the ‘Pesanggrahan’, which is located beside a river about 2km up the plantation track. Rather than a guesthouse, the pesanggrahan (altitude 1510m) is actually a bare earth campsite. Its facilities comprise a tin-roofed shack selling basic hot meals and drinks, a walled bathroom upstream with a concrete water tank and a toilet enclosure over the river downstream. Day 1. After camping at the pesanggrahan and enjoying a leisurely breakfast of nasi goreng and coffee, we started hiking at about 9 a.m. The trail is straightforward, proceeding through fields of garlic, shallots and other highland vegetables, then climbing through the forest, where there are occasional guide ropes that could be useful in wet, slippery conditions. The highlight, at about 1900m, was sighting a siamang (symphalangus syndactylus), ‘ambling’ arboreally and scrutinizing us from the treetops right beside the trail. After 3 and a half hours we reached the campsite (alt. 2200m). The campsite is excellent, on flat earth free of rocks or tree roots, sheltered from the wind and beside a stream deep enough for bathing, flowing from a nearby spring. Around it is an extensive grass and earth plateau gouged out below the peak’s south face. The volcanically active zone is about halfway up the face, sending clouds of gas high over the summit ridge. However, note three problems. First, there’s no shade, so pale skins will need lots of suncream. Second, the campsite is patrolled by pigs (sus scrofa). They will not confront humans directly, but are reported to have damaged tents while searching for leftover food. You are advised to keep everything sealed and avoid leaving your tent with food scraps lying around. Third, the entry point for the summit path is hard to find in dark or fog as part of the plateau is marshy and disorienting. In clear conditions though it’s easy to see where to head for: a spot in the northwest (far left) corner of the plateau, from where an obvious trail ascends the face to join the summit ridge at 2470m. The walk along the ridge itself is safe and easy, but perhaps uncomfortable due to the eye-stinging sulphurous gas blowing over it. We took 1 hour 30 minutes from the campsite to the summit. A metal sign there says 2497m, but the highest GPS altitude I found, on a boulder some distance from the sign, was 2488m. We took an hour to descend back to the campsite. Day 2. We decided to return to the summit for dawn the next day in hope of better weather. Setting out at 04.30, we noticed the above-mentioned difficulty of finding the trail in the dark and also that the gas is more virulent than during the afternoon. Note that the best spot for photos of the three lakes (Danau Diatas, Danau Dibawah and Danau Talang) is on the ridge near the active crater area; from the summit area, part of Danau Talang is hidden. The best sunrise panorama is a five minute walk along the ridge north beyond the summit. The three lakes and Gunung Kerinci lie to the south. 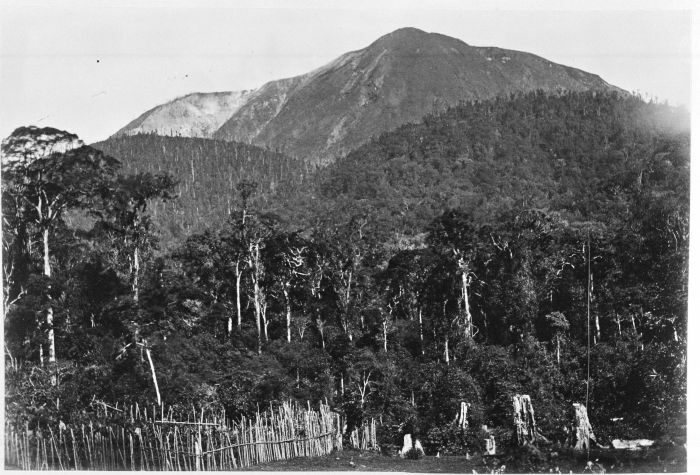 To the north stand the three peaks of the central Minang Highlands: Gunung Singgalang on the left, Gunung Marapi in the middle and Gunung Sago on the right. Our descent from the campsite back to the pesanggahan took 3 hours, including several stops to chat with the numerous groups of hikers on their way up the mountain. Clearly, a day hike lasting about 9 hours would be an option here, but camping is preferable, given the sociable atmosphere at the site. By the way, the anti-trash program run by the team at the pos seems to be working beautifully, and there was hardly a speck of plastic trash anywhere when I visited. Padang city restaurant recommendation. For a change from Minang food, the Apollo Seafood Restaurant in Jalan Cokroaminoto does good steamed fish and Chinese vegetables with a choice of beers. Good report. “A metal sign there says 2497m, but the highest GPS altitude I found, on a boulder some distance from the sign, was 2488m”. Presume you mean 2597 and 2588? Certainly Google Maps shows the summit area as well over 2500 and I can’t see why they would overestimate in such a way. Can’t remember if I made GPS tracks here or not but would be very surprised to find the peak was under 2500… and saddened as it would no longer be a Ribu! My mistake! Should say 2597m for the metal sign and 2588m for the GPS. Hiked Mt. Talang with my 12 year old son on the 15-18 February 2018 long weekend. –	We used Basecamp Adventures to provide guides. A bit pricey, but all arrangements were taken care of. They offered to supply almost everything, however my son and I have all our own supplies and cooked our own food. But FYI they can provide majority of supplies for a trip. 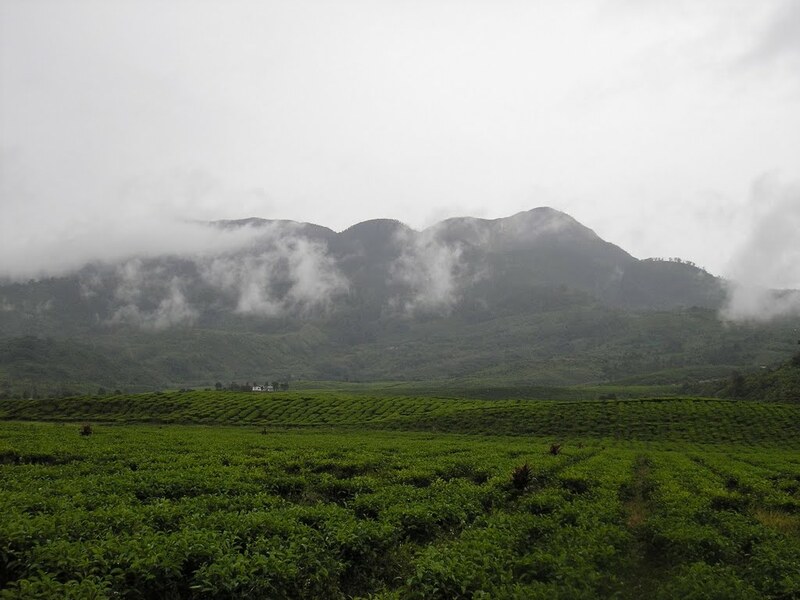 –	Hiked from the south, through the Tea plantation. –	Stayed at a homestay in the village prior to the tea plantation on the evening of 15 Feb. The guides picked us up at the airport and we departed immediately to the homestay. Approximately 3 hrs on quite winding roads, with large trucks causing most of the traffic. –	TIMING/PACE: The hike to the basecamp site on the south took us approximately 3 ½ hours. The hike to the summit from basecamp 1 1/2hrs. The return to the vehicle about 3hrs. My 12 year old carried his own pack for the first time, so our pace was not fast. We did not take many breaks either (he was motivated to get to basecamp) so while other hikers did pass us, we would leapfrog them on their breaks. The guides recommended resting in the shaded wooded areas and arriving to basecamp later in the afternoon, however we went straight to basecamp to set up our tent and settle which worked out well. –	We stayed in a hotel in Padang for a night, however one could make an evening flight if planned right. – Great trip overall, just the right level for what we wanted and great views to enjoy!! Hello Dan, I’m a fan of your post 😀 A couple of friends and I are hoping to go to this Volcano sometime soon, would we be able to get any information, like guides contacts from you? Not sure. It’s a while since I did it. There was a forest fire there recently so do double check it’s open..
Well, if you want reasonably priced guides I would recommend waiting until nearer the time. You can usually find local help in the village. If you plan ahead and book online you will end up paying an inflated price most of which is taken by a middleman who may never have even hiked the mountain. Local University hiking clubs are a good bet…. have a search on Facebook etc. But you will need some Indonesian language skills. Bagged Talang in 2015 during puasa, the fasting period for Muslim, so it was just me. I honestly think the best place for camping it’s on the other side of the true peek. You just descend a litte bit and you can enjoy both sunset and sunrise with extensive views. When I realised that I can see Marapi, Singgalang and Sago on the horizont line and that I’ve climbed all three of them it was a really nice feeling. Had a fantastic trip to Talang this weekend – one night spent camping at the small campsite about 100 metres below the summit. We were very lucky with the weather – the views were truly staggering. Many thanks to Ojat and Rijal for organizing it and for carrying my bag up after I had had far far too much Bir Bintang the night before. This volcano is very much recommended – given the views over the lakes it is definitely far superior to Singgalang.